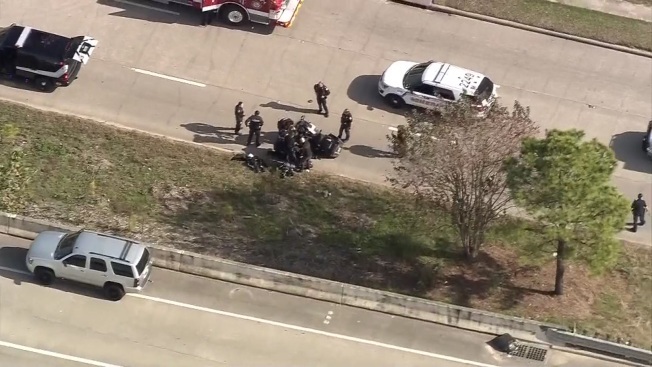 The gunman who shot and wounded three law enforcement officers in Houston on Tuesday afternoon has died of an apparent gunshot wound according to the Harris County Sheriff's Office. A Harris County deputy and two Texas Attorney general officers were attempting to serve an arrest warrant in the Mt. 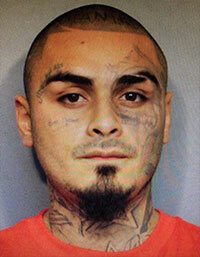 Houston area to Daniel Trevino, 25, when the shooting happened at about 1:15 p.m., according to Houston NBC affiliate, KPRC. Chief Deputy Edison Toquica says agents from the AG's office and sheriff's investigators were serving a warrant, at the threshold of a door, when the suspect began shooting. Officers returned fire. Sheriff Ed Gonzalez says the injuries are not life-threatening and the officers were being treated at a Houston hospital. Toquica says the warrant for Daniel Trevino involved violation of a protective order. Officials attempted to make contact with Trevino and establish an open line of communication. Trevino said on many occasions he would come out. At one time, he fired three shots at officers. At around 6:15 p.m, authorities found Trevino dead from a self-inflicted gunshot would to the head. The sheriff also says a motorcycle deputy was in an accident while assisting with traffic control nearby. The deputy was conscious and stable.